As a former Cobb County school teacher, Sheila Hicks learned how to be patient, detail oriented, proactive and a strong advocate for her students. As your Realtor, Sheila will not only advocate for you, but she will also deliver 5 star service every step of the way, Whether you are a military personnel looking to buy your next home, or you and your family are ready to sell, she will work tirelessly for you and with your best interests at hand. 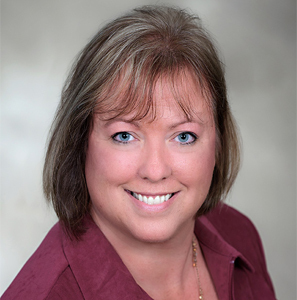 Sheila understands that the process of buying and selling real estate can be overwhelming. As a full time Realtor, she will work hard to lower your stress levels and make your experience as pleasurable as possible. She will accomplish this through constant communication, and excellent service. Sheila met her wonderful husband right here in Georgia, and they have been married for 23 years, and raised two fantastic children. When she is not helping her clients, you can find Sheila on the lake, reading or kayaking. I am a Realtor, not just an agent. That means that I have the highest level of knowledge, along with strict ethical guidelines. How do I prepare my home for the market? What is curb appeal, and how can I get some? How important is the lighting within my home? What are some strategies for pricing my home? As your Realtor I will help you evaluate every offer received on your home. There are many points in a contract that are important, not just the price. I am a skilled negotiator. Your best interests are my focus, and I will always fight for you and your home. The purchase and sale of a home has many steps and is full of contracts, lawyers, banks, and inspectors. I will be with you every step of the way making sure that the sale is completed and you reach your goal. I am originally from Massachusetts, but grew up in Sarasota, Florida. I graduated from Kennesaw State University. I have lived in Marietta for the last 19 years, and Roswell several years before that. Since I have been in Georgia, I have met my wonderful husband of 20 years, and raised two fantastic children. I was a teacher in Cobb County Schools, and worked for several years in property management. My passion for real estate arises from my belief that a home is the heart of life. It is where we enjoy our family, share with friends, and experience life at its best. Our homes are often our largest personal investment. I love my profession as a Realtor, and greatly respect the position you are in when it comes to choosing someone to handle your real estate needs. I look forward to working with you on your home sale. I have lived in my home for several years now, but I still remember the thrill of success when I first walked into my new home. I love to share that same experience with my clients!